What Flower is that Anyway? Do you know? There's the picture, complete with bumblebee. Taking these photographs is usually enjoyable. It doesn't really count as work, because I'm on a day trip and having a great deal of fun. But when it comes to uploading them onto Zazzle, problems begin. Like this one. Ember went through a mass of images, which I'd taken while bimbling through the gardens of Erddig, near Wrexham in Wales. She chose this one as a winner. I came to upload it and paused. 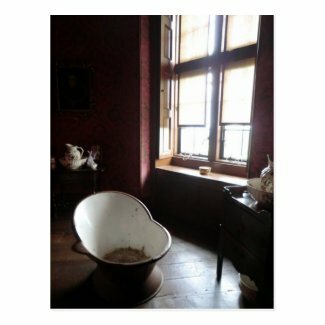 It might be an Erddig photograph, but the home isn't the subject. It's a purple flowered plant with a bee. All common decency dictated that I name it as such. I'm no gardener. Flowers, in my world, are categorised as 'pretty' or 'very pretty', or 'lilies'. The latter reminds me too much of funerals, so are a bit too tainted with loss to be considered lovely. 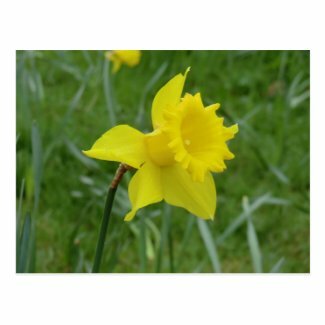 I began a search on the internet, looking for British flowers, then Welsh flowers. I saw many which sort of looked like this one, but none which matched precisely. Then I came up and asked the good folk of Wizzley. Did they come up trumps? Of course they did! After I'd spent a couple of hours fruitlessly searching, the lovely Kajohu came up with it the moment she logged on. 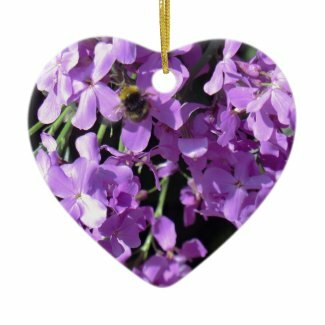 And THAT is the only reason that this image is listed on Zazzle as Summer Lilac, aka Sweet Rocket, aka Dames Rocket, aka everything else that people commonly call Hesperis Matronalis. 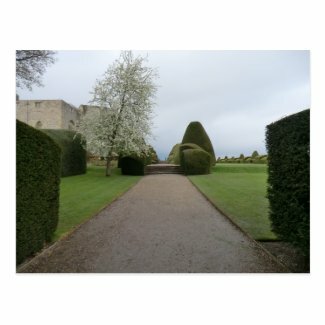 Chirk Castle seems to go on forever; but in a good way, full of fascination and delight. One moment you are in a wing lived in for centuries, all Georgian fittings and Edwardian grace. Then you're passing through a door like Alice passed through the looking glass. Now it's stark stone and Medieval staircases, antechambers and armouries. Then there are the gardens. They go on for what seemed like miles. Long lawns were lined with patches filled with daffodils; winding pathways twisted amongst rockeries into the woods; hidden lakes appeared in sculptured groves; the scenery swept from the edge of the final topiary all the way across Cheshire and Shropshire. You never quite knew what might lie behind the next bit of shrubbery. Statues, tiny ornate huts, a pavilion, it all made me feel like a child again, on some big adventure of exploration. So perhaps it wasn't all that surprising that I failed to notice that I'd stopped encountering fellow tourists. The gardens were vast enough, with so many concealed wonders, that meetings with other humans had been relatively few and far between. Out in the garden, there are no National Trust guides to glance at their watches and call time on looking at pretty things. I kind of got the hint that Chirk Castle was now closed, when I finally meandered back to the gate. It was locked. This castle built to keep the Celts out had succeeded in locking one in. Oops. The fundamental thing about castles - the absolute fundamental thing and indeed their reason to be - is that they're incredibly hard to break into. The same is true of the opposite. They're not designed with a view to just clambering over a gate nor scaling a wall. Not without a large army furnished with siege equipment anyway. I tried to access the castle again, mostly to find a member of staff, but also imagining with some glee wandering through it alone. There had been too many pesky tourists earlier on, disturbing my historical reveries. But the doors were locked. Good fight, Roger Mortimer. Wandering along a pathway, trailing a curtain wall, I located a door which said 'Staff Only - No Entrance Past This Point'. What's the worst that could happen? If guards came clattering out in full armour (or a National Trust volunteer in full tweed jacket), I could just ask to be let out. It would be the best solution for all concerned. But I didn't need that to happen. The door was unlocked. I found myself eventually outside, looking across to the hillsides of Wrexham, where my ancestors would have come threatening the peace of this evil Marcher Lord. And more importantly, given that this was now the 21st century, overlooking the car-park, where my car sat lonely. That car-park had been full when I arrived. Feeling quite smug at having extracted myself from Norman hands, I made my way down there, then drove carefully towards the main exit. There were sheep on the road, each one appearing stunned to find someone still here. But they're sheep. They always look stunned. Then disaster. I'd been so busy getting out of the castle and gardens, that it hadn't even occurred to me that the estate itself would be secured at closing time. I could see the road outside, but the tall, black and beautifully decorated railing gates were padlocked. Oh dear. Fortunately, they also had a huge notice, with big letters, giving me a telephone number if I'd accidentally been locked inside. I wasn't the first then. They must hate people like me. I called and was directed all the way back to the entrance gate, a mile or two in the opposite direction. I would be seen, the gentleman on the end of the line informed me, the gate would be opened. A three point turn through sheep is interesting. They really are quite unaware, aren't they? Much bleating later, it was managed without ovine injury and I made it back to the other side of the estate. I never did see the person who would see me. But the gate was open. Freedom! And I happily made my escape. 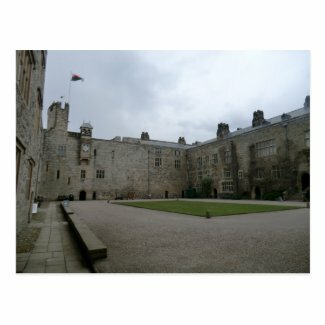 These Chirk Castle postcards are on the American version of Zazzle. If you wish to see the same in your local Zazzle store (thus neatly side-stepping any customs duty), then just change the root URL accordingly. 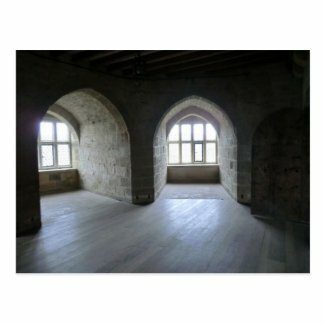 If you're not sure what that is, then check out the International Zazzle!